Stud earrings attached to a hand designed kraft gift card. 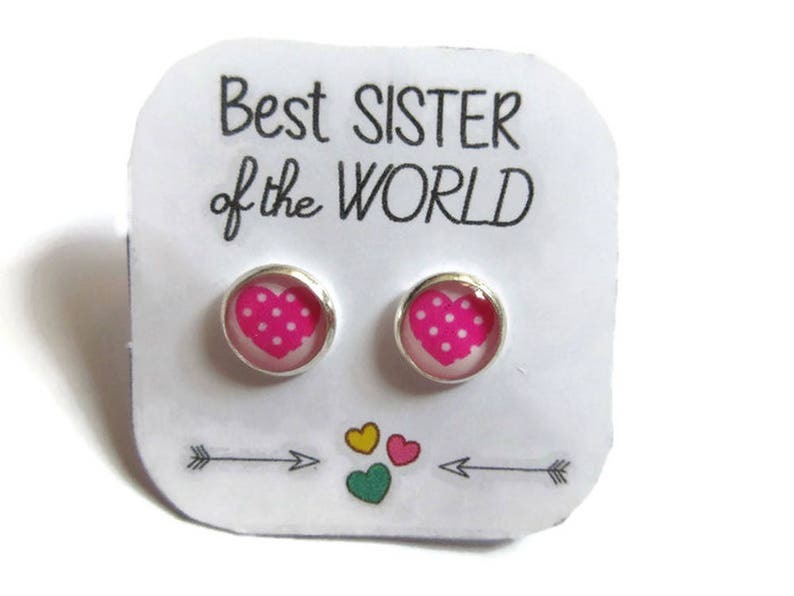 Message reads: Best sister of the world! • • Earrings approx 9 mm / 0.35" in diameter. • These studs will be shipped in a gift box, ready for giving (or keeping!). What a WONDERFUL etsy shop!!! Super with communication, so helpful- and the earrings?? they're adorable!! my daughter loves them!! THANK YOU!!!! Pareil ! Juste parfait ! Très belles boucles d'oreilles. Ma fille les adorent !